We’re liking the new-look Nicki Minaj. Strip away all the clown-like makeup of yesteryear and she’s actually a stunningly beautiful young woman. And stripped-back is an apt term to describe this new single of hers. 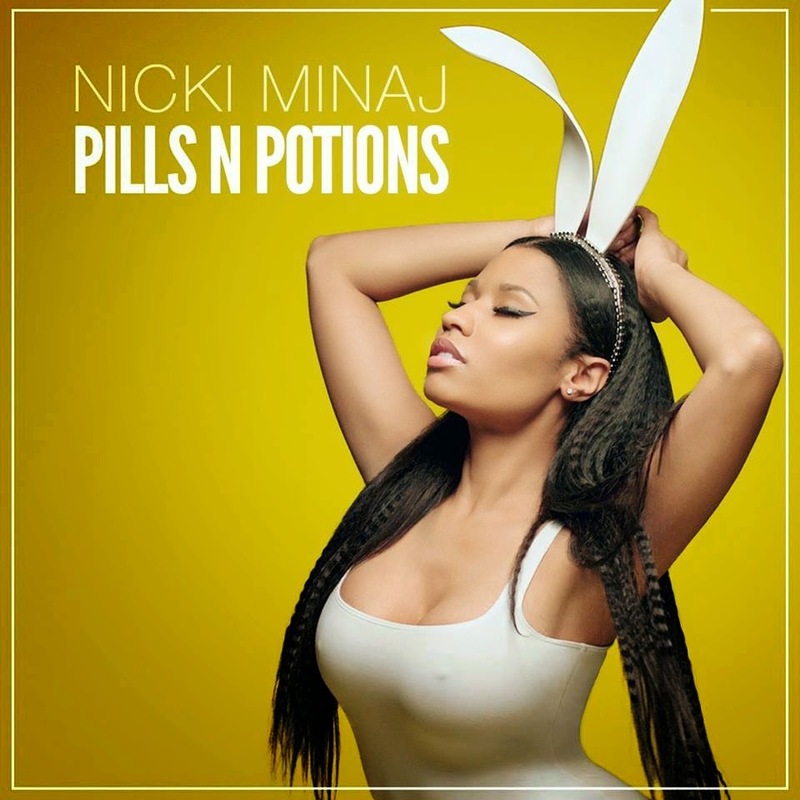 It’s, naturally, about the pills and potions she turns to to deal with her relationships – both professional and personal. She’s cavorting on-screen with ‘The Game’, but dressed demurely in classic black or white outfits, albeit with a few ostentatious details. Naturally, there are a couple of glaringly obvious product placements including her fragrance and a new Beats product called (here’s the kicker) the ‘Pill XL’. It’s the ‘pill’; Nicki’s fragrance no doubt the potion.